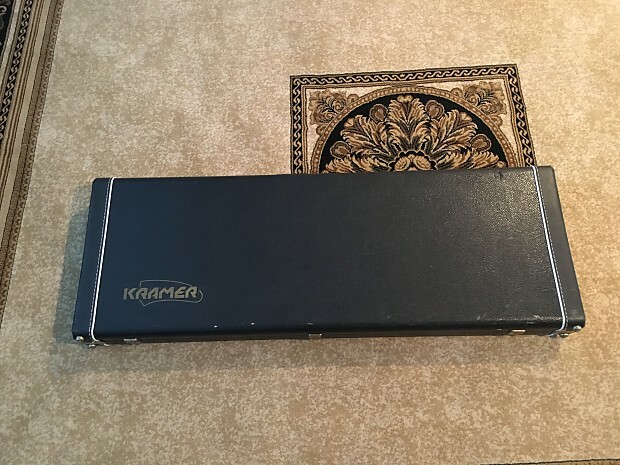 Selling this Kramer Stagemaster Custom that I got a few months ago because I haven't used it as much as I thought I would originally have and it's just been sitting in its case. 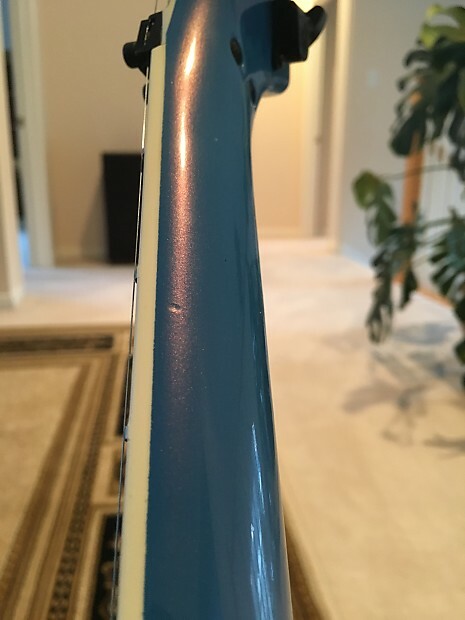 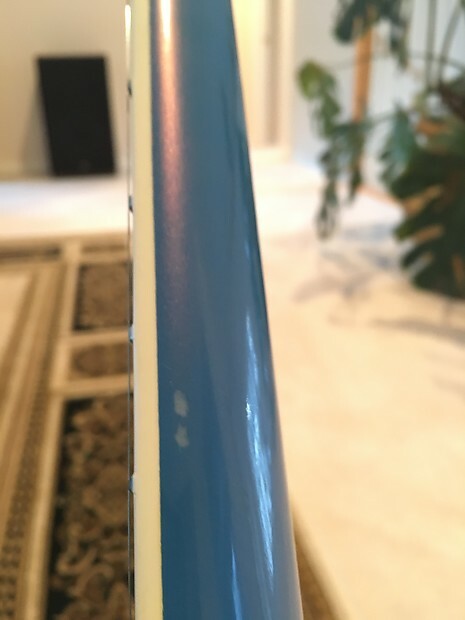 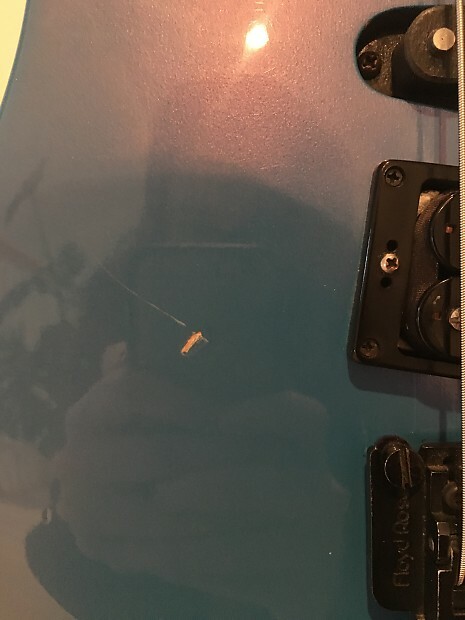 It has a couple of scratches that I photographed as best as I could, but all of them are quite small and hardly noticeable, with the exception of the one by the bridge pickup. 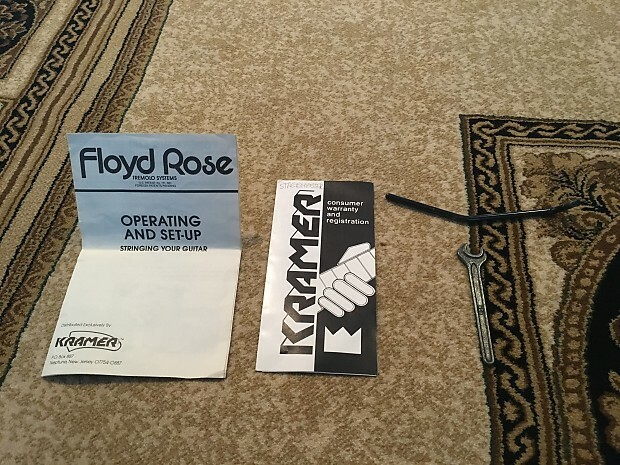 The guitar is completely stock and with all the original paperwork, tremolo arm, wrench, and the original Kramer case! 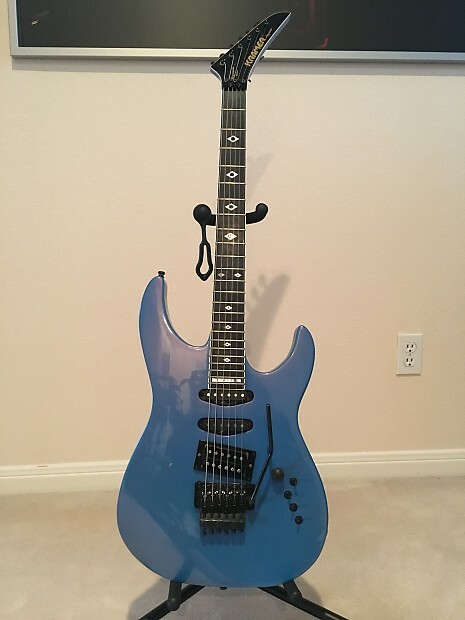 I also did get the guitar professionally cleaned, restrung, and setup shortly after I bought it. 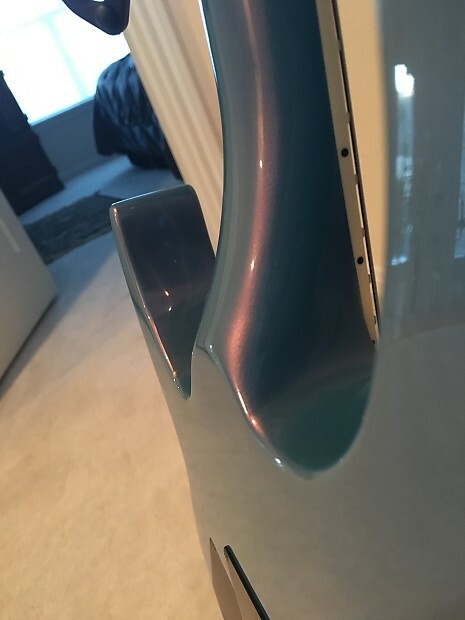 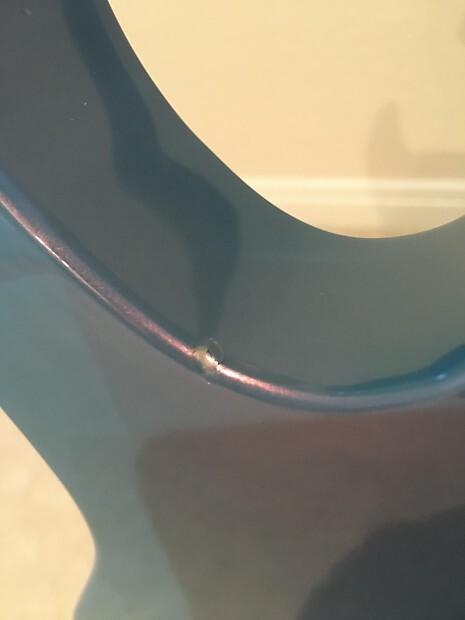 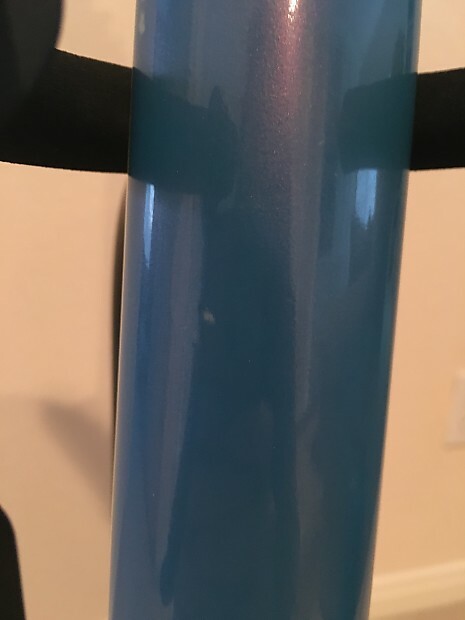 The finish is very cool because it goes from a blue to a purple-ish hue depending on how the light is hitting it. 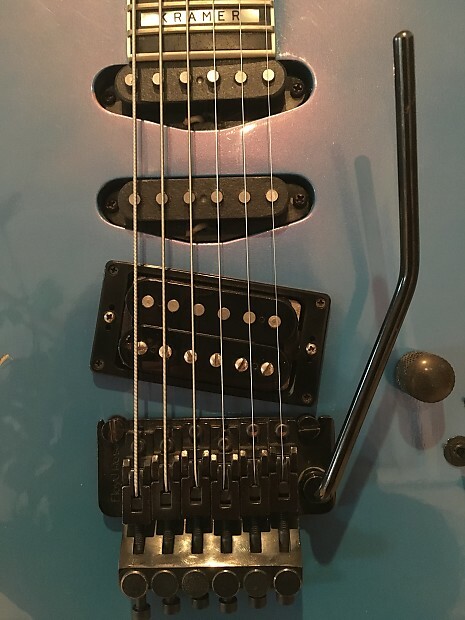 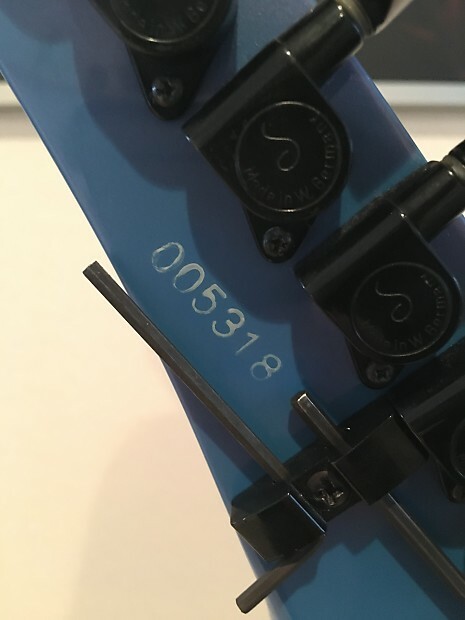 The guitar unfortunately did not have the string retainer bar, but Floyd Rose still makes them and they are easy to get a hold of one. 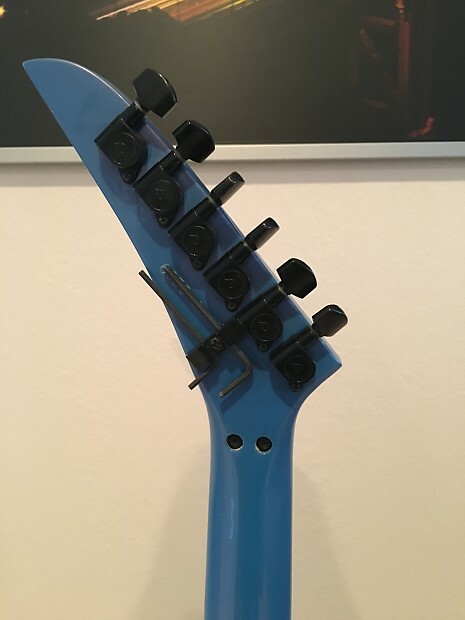 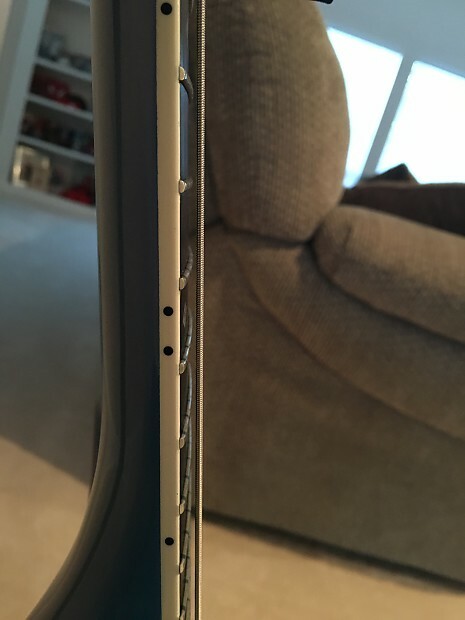 The guitar plays and sounds great, but I just don't have much of a use for it. 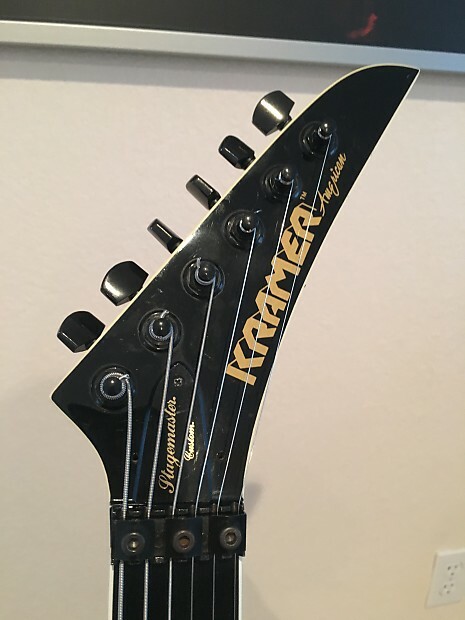 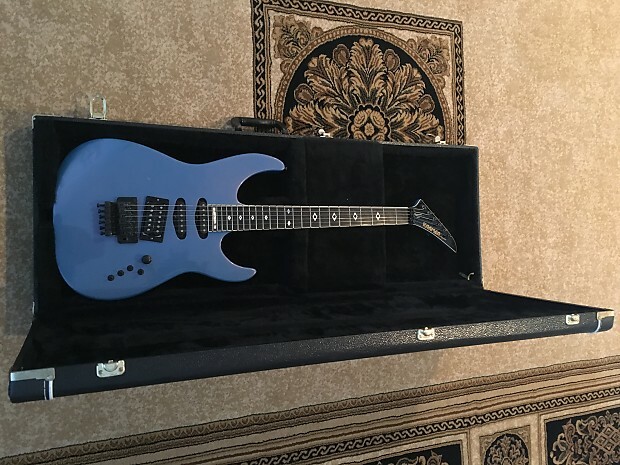 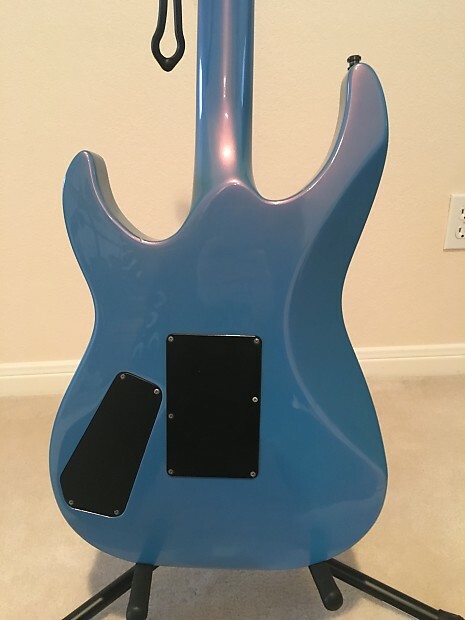 If anyone has any questions about the guitar, please feel free to shoot me a message and get this cool little piece of 80's shred guitar history!